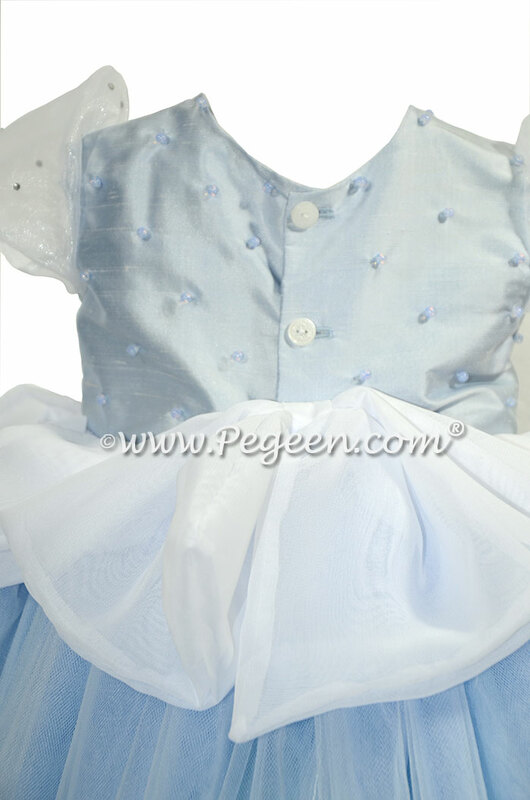 Pegeen.com ships all over the world but we couldn't help, living and working just a mere 1+ mile from Disney World, when our customer asked, why not make her a beautiful Cinderella Princess dress. NOW I personally can't wait to give one to my very first granddaughter on her visit to Disney too this month! 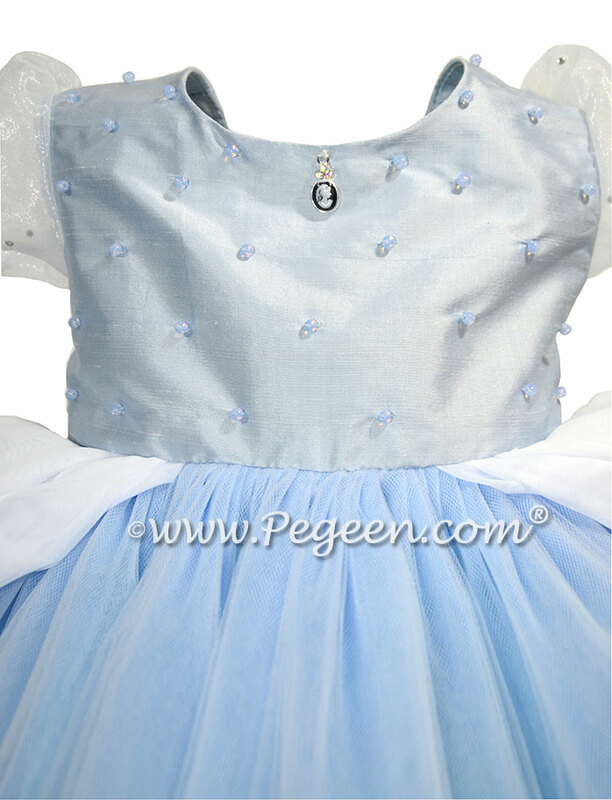 Dress made in silk with pale blue tulle, a charming Cinderella pin at the neckline and the entire bodice filled with pale ice blue Swarovsky crystals.